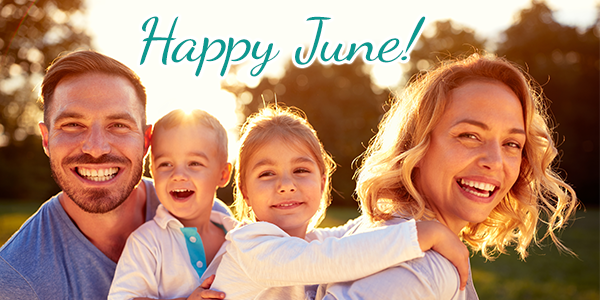 June is here and we couldn’t be more excited! Something about the start of summer gets us feeling inspired. Summer is synonymous with making treasured memories. There are endless opportunities for fun, and it should also give us permission to relax and pamper. That’s the reminder we’re sharing with you! Take care of yourself. Refresh your skin with a facial. Come in for a treatment after an action-packed weekend. We have some pretty fantastic promotions this month for you! 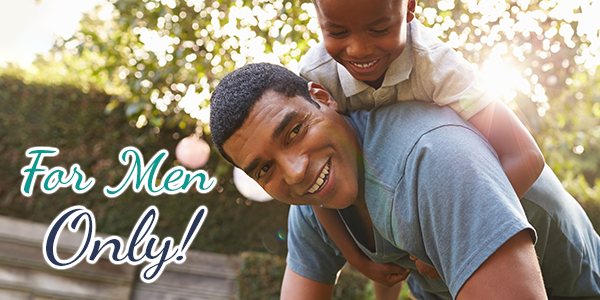 Just a reminder, we celebrate dads this month, too! Father’s Day is June 17th. Stop in and pick up a gift for the special dads in your life. We can hardly wait for first-ever event at the spa! Mark June 20th, 4 - 6 PM on your calendar, bring your friends, and spend a happy hour or two with us. 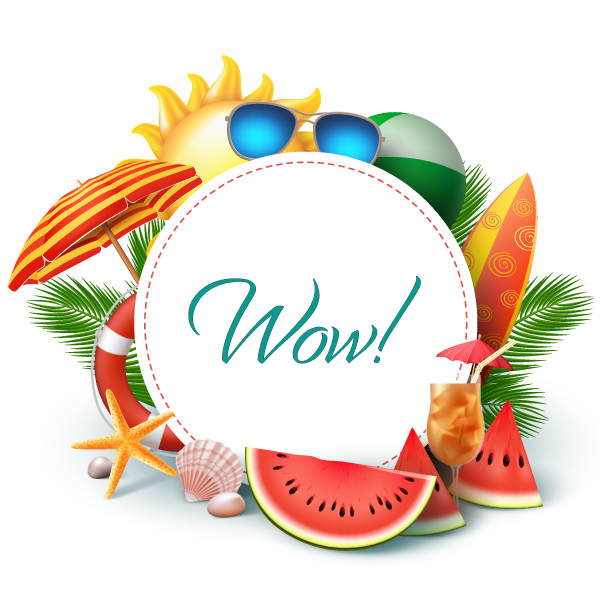 We have great gifts and special promotions just for event attendees that you don’t want to miss! Call us at 541-387-8451 to RSVP- first 25 people to RSVP will receive a spa goody bag! Happy Father’s Day! Dads love to be appreciated, too! They never do it for themselves. Give them something special: A trip to the spa! Use code DAD2018 when purchasing online! 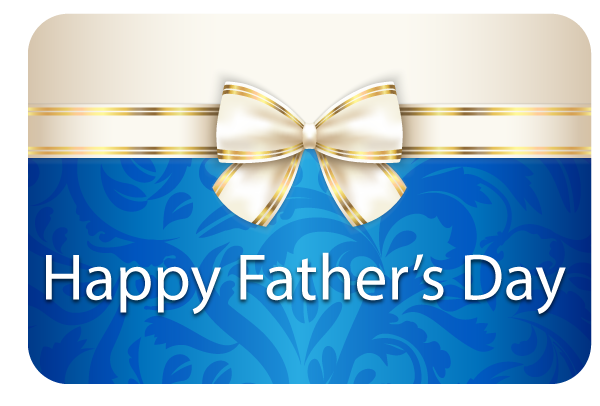 - Reserve any massage for dad this month and he receives a complimentary enhancement (a value of $25). Mention this May special in your reservation note! Refresh and Rehydrate With A Facial! Choose from any of the spa facials, including the spa favorite right now. The Summer Facial features exfoliating and cooling to reenergize the skin and remove dry skin for easier moisture retention. Reserve a skin health package - facial with LED and décolleté treatment for glowing skin, hand and foot treatments to improve circulation and relief tension and receive complimentary eye cream to add to your home care routine! Call us at 541-387-8451 to reserve now! Gardening, washing hands many times during the day or antibacterial gels are just a few reasons nails and cuticles get dehydrated. 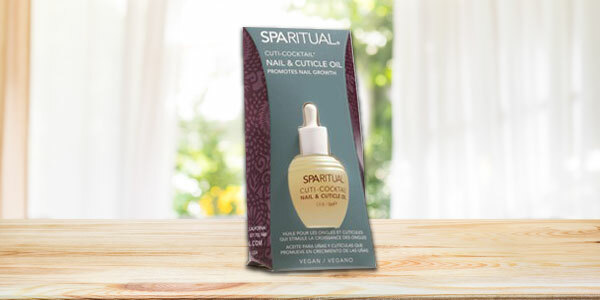 We are in love with Sparitual Nail and Cuticle oil. Just a few drops work magic almost instantly, preventing your cuticles from cracking. If you get gel polish, are trying to heal your nails after wearing acrylic or work in a job that requires constant hand washing, using this oil every evening will bring your nails and cuticles into good shape again. We wanted some pumped-up motivation this month. We’ve been digging “Eye of the Tiger,” because honestly it just makes us feel like Rocky running those stairs. If you want music to pump you up, look for Get Pumped! 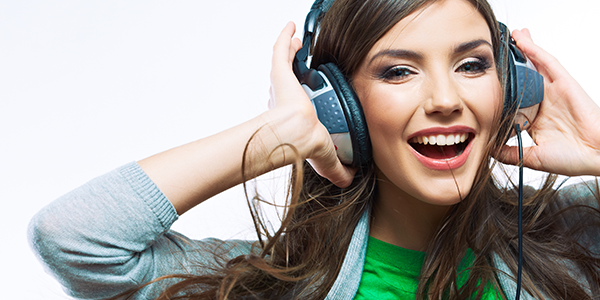 Your Top 25 Workout Songs from Muscle and Fitness. With richly layered characters and a gripping moral dilemma that will lead readers to question everything they know about privilege, power, and race, Small Great Things is the stunning new page-turner from Jodi Picoult. Get it on Amazon! 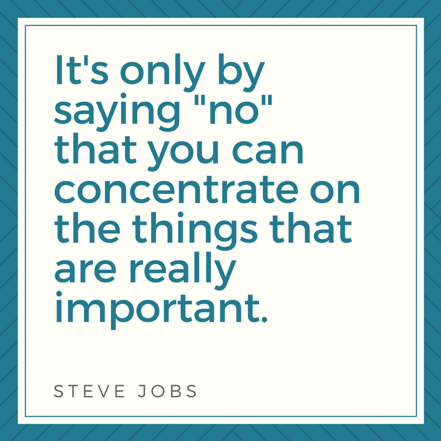 If you often feel overwhelmed with the events, activities and obligations in life, you might be saying “Yes” too often. This is sometimes an overlooked piece to self-care. Saying “No” means respecting yourself and your time and it is an important key to happiness. 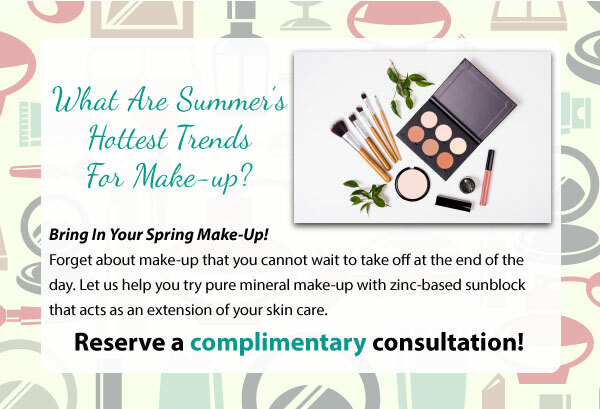 We want you to enjoy the sun, but we also want your skin to look on point. 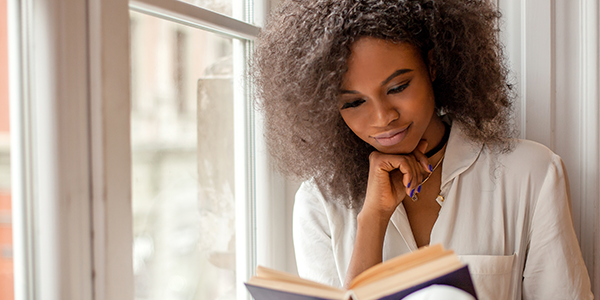 Read on for some tips to keep you looking fresh, hydrated and healthy. 1. Keep Your Skin Hydrated. 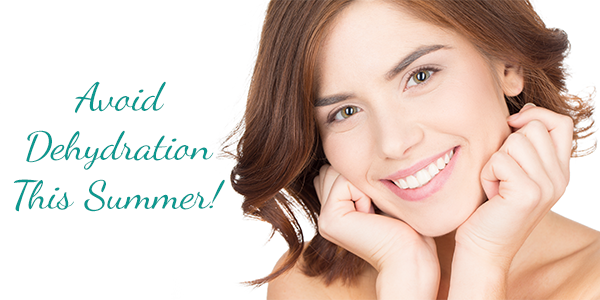 Summer is a great time to up your skin’s hydration through masques, toners and a quality moisturizer. 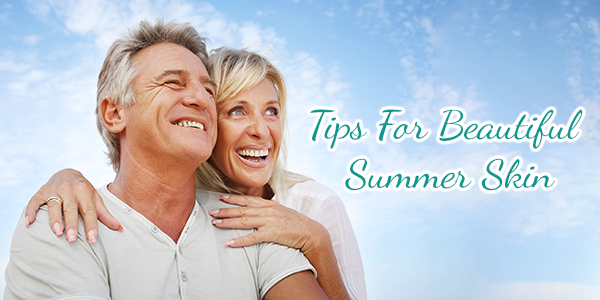 Although summer is often hot, skin can become easily dehydrated from too much time in the sun or the pool. We have the best products and can help recommend what will work best for your skin and your lifestyle. Take care of your skin in the summer. It will thank you year-round. 2. Drink Water. This is obvious, we know. But you would be amazed at the number of people who aren’t drinking enough water. While other fluids help, the absolute best thing you can drink is plain, filtered water. This is especially true during the summer when you’re losing fluid through sweat. A good rule of thumb we use is to drink half of your body weight in water. If it’s hard for you to keep track, keep a tally in your phone or at your desk at work. 3. Avoid Mid-Day Sun Exposure. The strongest sun rays are out from 12:30 p.m. to 3:30 p.m. Your skin is at its highest risk of skin cancer when it is exposed during these hours. The best time to be in the sun is in the early morning from 7 a.m. to 9 a.m. or in the evening when the sun is setting. Fun fact! Only the early morning and evening sunlight produces UVA light which helps your skin create Vitamin D. Once you get closer to mid-day, you no longer have the Vitamin D benefits. Nothing beats being outside on a beautiful sunny day. However, it’s important to minimize your exposure and protect your skin. 4. Keep Your Skin Clean. When sweat sits on your skin it will mix with bacteria and clog pores, potentially causing acne breakouts. With summer upon us, it’s important to remember to wash sweaty headbands, clothing and hats before wearing them again. The best way to remove sweat is by blotting it. Avoid intense physical activity that brings about profuse sweating during the hottest times of day. If that’s not possible, then wear very loose, light clothing and try to keep your skin cool by using fans, cool showers, etc. 5. Exfoliate Once Per Week With A Good Product. Get rid of dead skin cells and that extra dirt and grime. If it’s an extra sunny or outdoors week for you, tread carefully with exfoliation. 6. Moisturize With Sunscreen. Repeat. All. Day. Long. This is the most important skin tip we can give you. Stock up on sunscreen and always carry one in your purse/vehicle. We recommend you purchase at least 50 SPF. Apply and reapply every 4 hours or potentially more if you have been sweating or are in the water. No matter what you might be doing out in the sun, we can’t stress the importance of sunscreen enough. The sun is extremely damaging on your skin cells and causes premature aging, brown spots and skin cancer. If you need a good, quality sunscreen, come visit us. We carry everything you need. 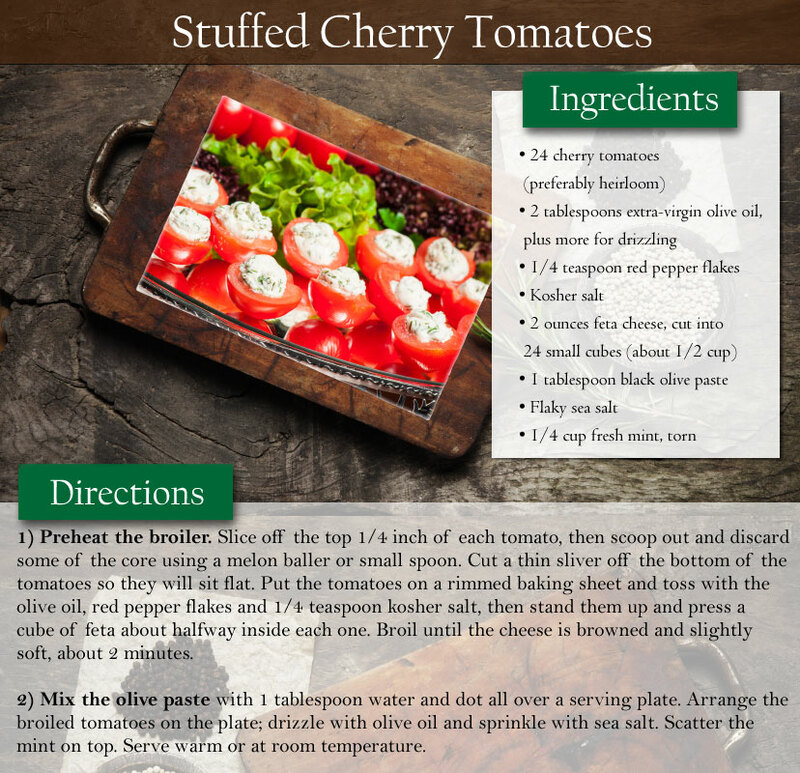 Stuffed Cherry Tomatoes are so yummy and perfect for long, lazy days. They’re cute, festive, tasty, and look great for entertaining. So, get busy on these pop-in-your-mouth, fresh appetizers. See you soon at Spa Remedease!